Lake Como is one of the most beautiful places in Italy. It’s inverted ‘Y’ shape lake, stunning waterfront villas, and open air restaurants make it the perfect relaxing place to spend the summer. 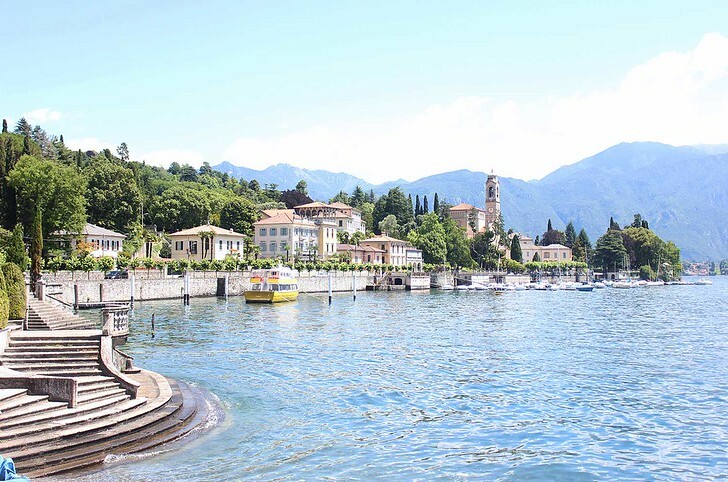 The best way to properly enjoy Lake Como is to pick an area as your home base and then take advantage of the ferries which traverse the Como villages every day. For a complete guide to Lake Como’s prettiest towns and suggestions for what to see and do, check out this article. If you’re looking to narrow down the tough decision for where to stay, keep reading! What’s the Best Place to Stay in Lake Como? Do you want to just relax and enjoy the charm? 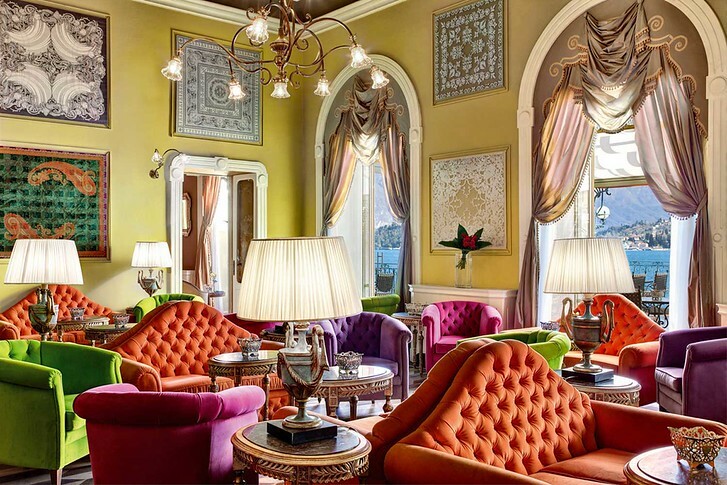 Opt for heavenly luxury at Tremezzo’s famous Grand Hotel. Do you want to sight see? 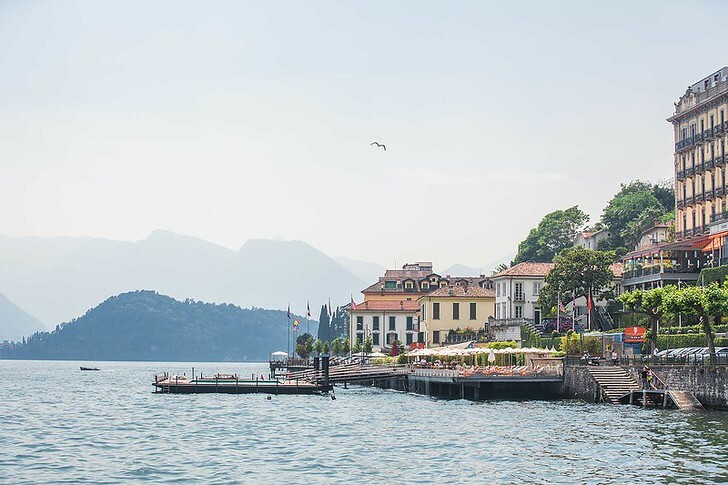 For example, you can explore the fabulous villa where Casino Royal and Star Wars were filmed, check out Como’s medieval churches, maybe ride the funicular for aerial views… In that case, you’ll want to use the Lake Como ferry system and either Bellagio or Varenna would make more sense. These two towns are the most popular choice for travelers visiting Northern Italy. Varenna is better connected to greater Italy, as it’s the only town with a train station. It also has a beautiful shoreline with restaurants right over the water. In the evenings, it’s really beautiful to watch the sun set by the lakeside cafes and I left feeling Varenna had a gentle, lovely vibe. Bellagio is better connected to Lake Como’s towns as ferries stop here criss crossing the lake. It’s much more hilly, so be prepared for lots of steps, up and down. There are more restaurants and more shops here so it’s bustling in the daytime and I got the vibe that old money Europeans would go wild here. 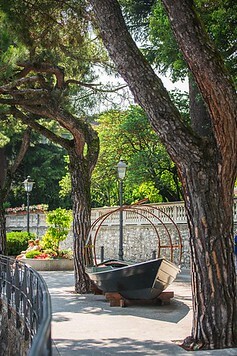 Bellagio is by far the most famous town of all the villages on Lake Como. First, make sure to bring sturdy luggage with strong wheels. If you have lots of bags, I would recommend basing yourself in Varenna. First you have to schlep your bags from Milan to Varenna and hurry to get off the train platform (trains stop for only 1-2 minutes). If you head onward, you then have to carry your bags through town to the ferry station and onto the crowded boats. Better yet, just leave your luggage at Milano Centrale’s train lockers and bring weekend duffles or carry on backpacks! Varenna is the only town to have a train station with a direct route to Milan, so if you’re short on time, stay in Varenna and then do day trips to the other towns along the lake. Milan is under an hour away or you could head north to Switzerland for a day trip. Villa Cipressi is located near the church, a bit higher than the waterfront so the rooms have excellent views of the lake. It’s an older hotel but incredibly beautiful and the staff is great. If the restaurant is open, try it! It’s known for its food. This affordable hotel is right in front of the ferry terminal at Varenna, making it both convenient and fantastic for people watching! Hotel Olivedo has quieter views of the lake, a tasty restaurant, comfy lounge and decent sized rooms. 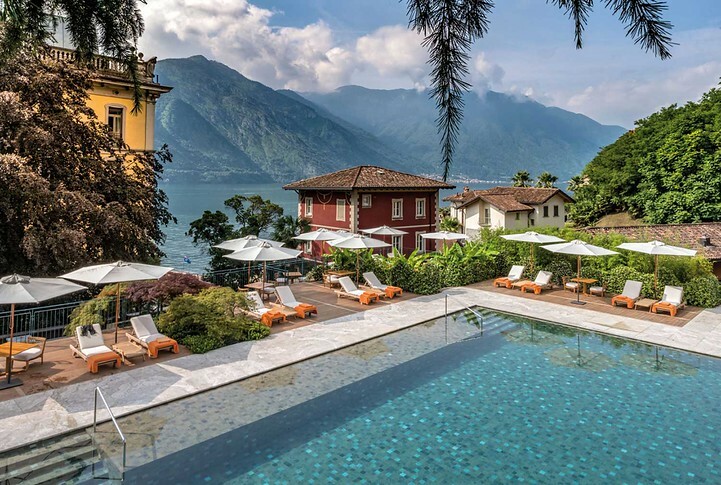 Perched high on a hill, Hotel Belvedere is a landmark Bellagio hotel that’s famous for its incredible pool, rooftop restaurant and stunning views of greater Lake Como. The rooms are large and airy and you’re pretty much guaranteed to never want to leave! 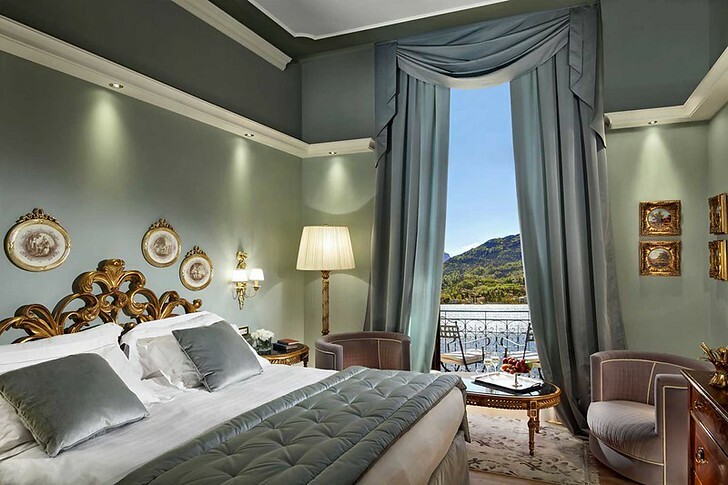 On the flip side, Hotel du Lac is the perfect place to stay in Bellagio if you want to be in town near all the action. It’s surrounded by great restaurants, boutique shops and close to the ferry so the location is truly fantastic. For a true escape to paradise or for a honeymoon or romantic escape, the spot to stay is Tremezzo. The town of Tremezzio is dreamy, located right across the lake from Bellagio, with spectacular views and the famous Villa Carlotta. 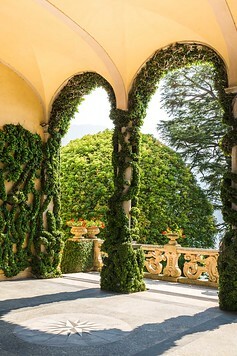 This is also where Lake Como’s most famous luxury hotel is located! 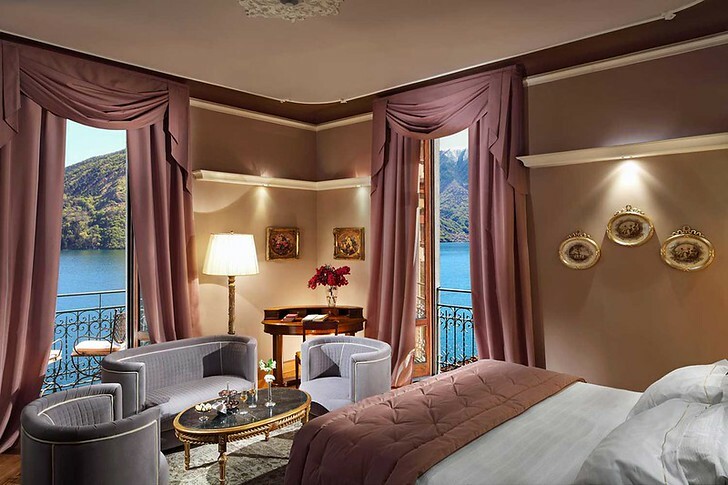 Treat yourself to a room with a view over Lake Como and Bellagio. Or, splurge on one of eight rooftop suites that come with private terraces and outdoor jacuzzis! 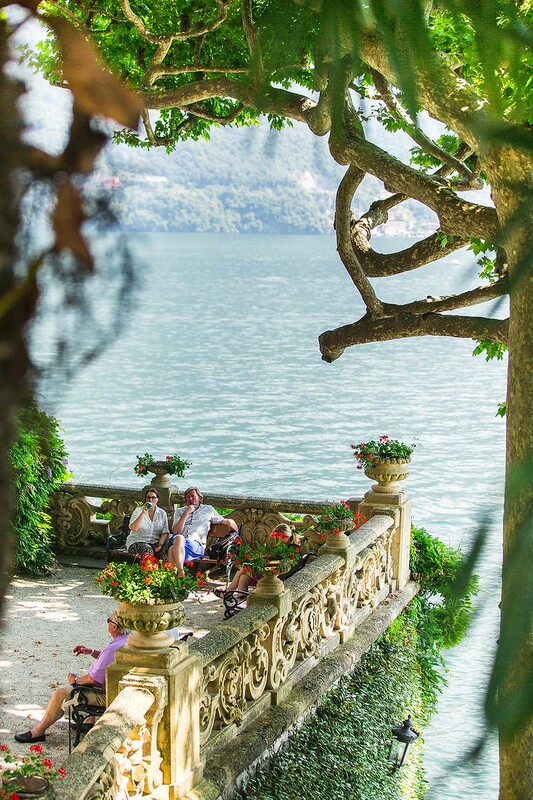 Grand Hotel Tremezzo is a member of Luxury Hotels of the World and well worth the cost, especially if you’re honeymooning in Italy or having a romantic couples getaway. The property includes a lush garden, 3 heated swimming pools (one of which floats on the lake), and its own private beach exclusively for guests. If you’re on a budget, skip the hotels and book an Airbnb. 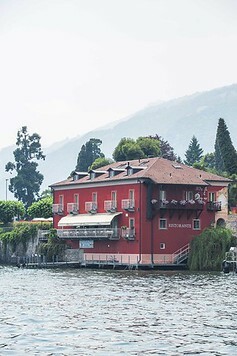 Here, locals rent out rooms and villas on the smaller towns that surround Lake Como. Because they’re off the tourist trail, rates are much cheaper, and many have still have great lakeside views! If you have limited time in Como, say 2 days or less, I would stick with centrally located hotels in the major towns. But, if you have a week or more to spend, these are great options! This clean and comfortable apartment is located in Brienno, and has a pretty balcony that overlooks the lake. Even in peak season, it’s under $200 a night! Brienno is a cute town with a tiny waterfront, lots of churches and a more local vibe. This quaint villa has a adorable roof terrace and is located in the old town of Carate Urio, right on the lake. The historic home is over 250 years old, but completely renovated with a large living room, open kitchen and terrace. Fits up to 4 guests and is under $150 a night in summer. Want a million dollar view? Pick this 1930s villa that has views of Lake Como from every room, plus a private terrace. The apartment has been completely renovated with large windows to soak in the great views! This airbnb is located in Bellagio and therefore slightly pricier, at ~$250/night in peak season. Where will you stay in Lake Como? Don’t forget to check out the rest of our Italy travel guides below.